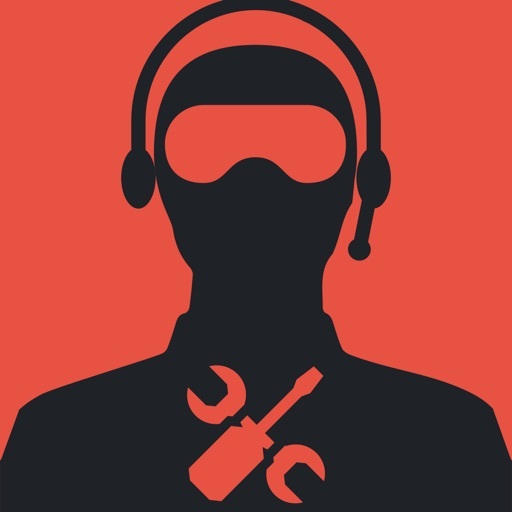 CS:GO Companion helps you take your gameplay to the next level by helping you to make better decisions in-game or in training. 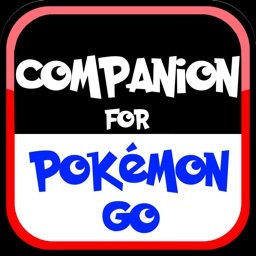 CS:GO Companion provides you with useful information such as a bomb timer, map call-outs, weapon info, spray patterns, economy information, and tactical nade tutorials. 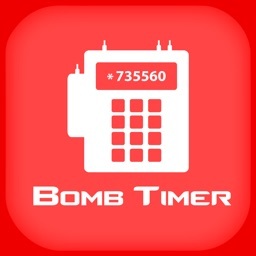 - Bomb timer: Don't guess whether you have enough time to defuse. 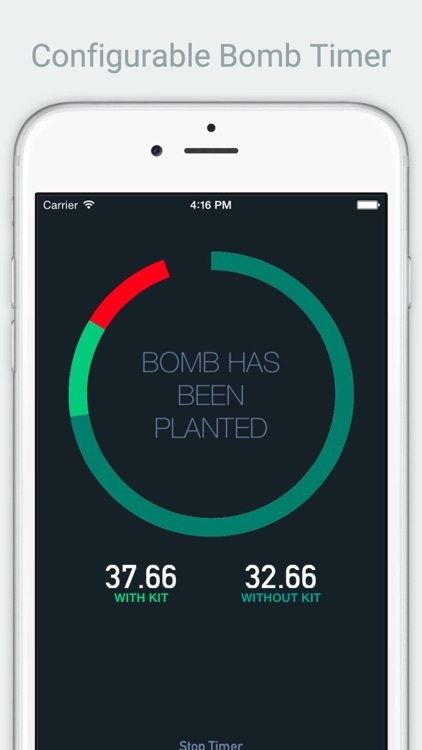 Let our bomb timer tell you. 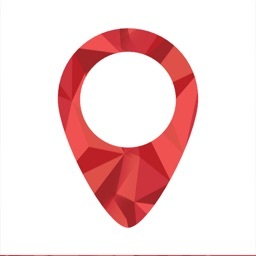 Tap anywhere on the screen to start the timer. Audible and visual cues help you keep track of the time remaining even when you're wearing headphones. 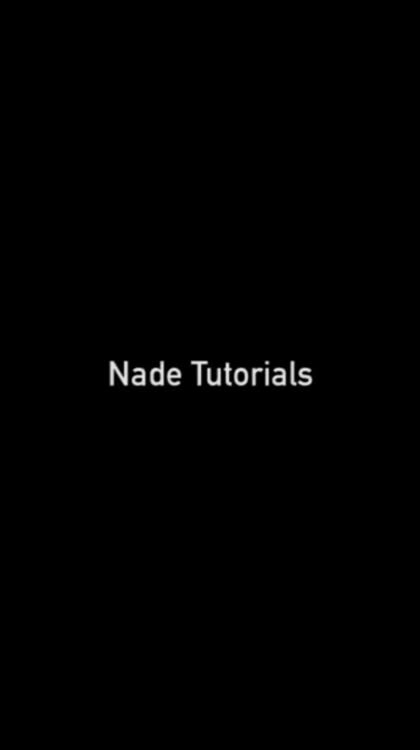 - Nade tutorials: Upgrade your skills by using CS:GO Companion's nade tutorials. Take control of key points on the map by using well-placed smoke grenades, flashbangs, molotovs, and HE grenades. 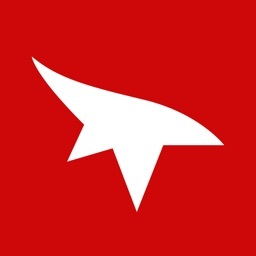 - Map images with callouts: Communicate more effectively with your team. 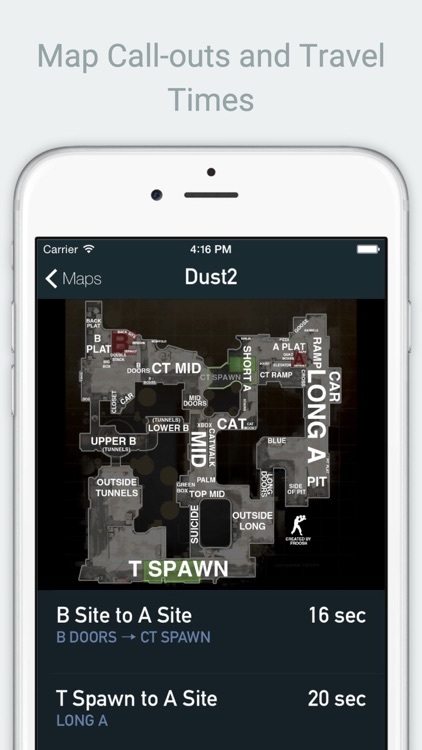 CS:GO Companion is loaded with images of maps that have labels for specific parts on the map. 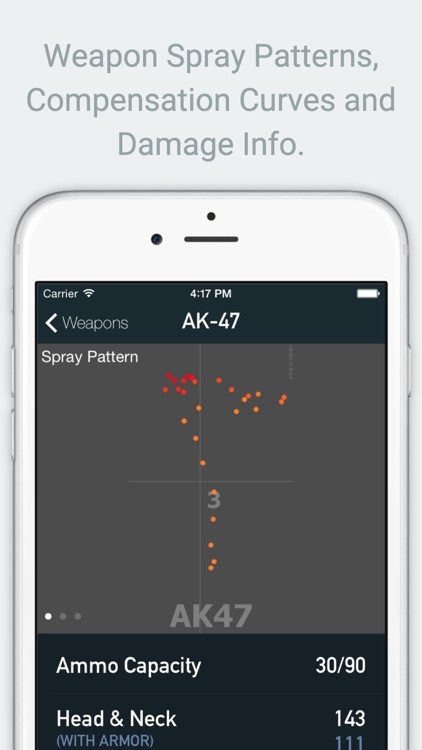 - Weapon info with spray patterns: Keep missing that headshot? Check out every weapon's specific recoil pattern so that you can tighten up your aim. 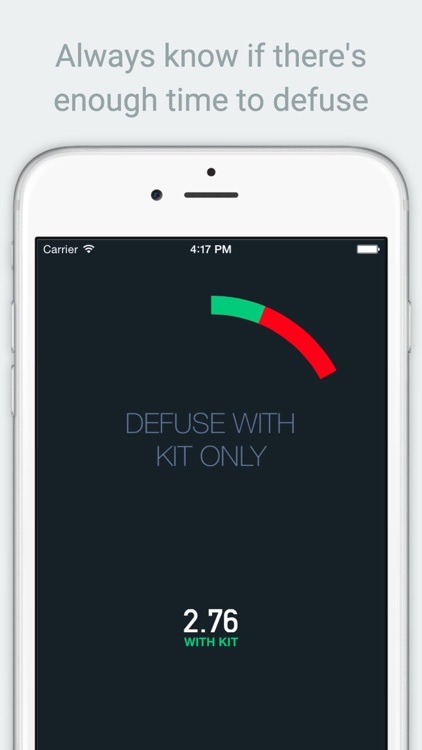 Weapon information such as price, ammo capacity, and damage are also provided for your convenience. Level up your game, download CS:GO Companion now. "All pros here. No cons. 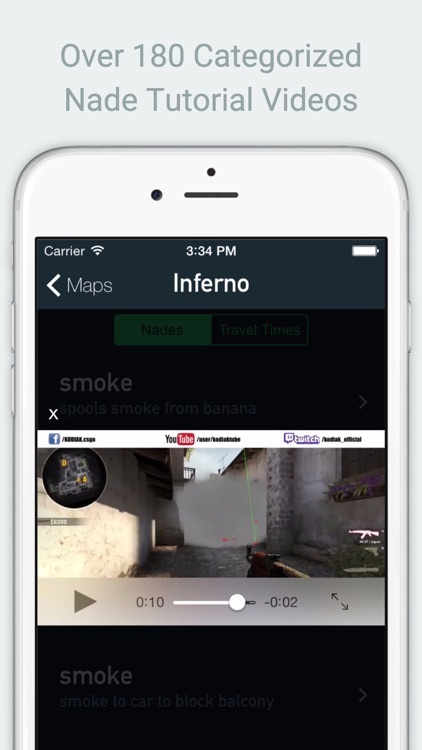 With the most recent addition of nades to this app it is now leagues ahead of any other app on the market. The times between sites are great The bomb timer is great (when you remember to press screen) And the smokes are just awesome with how well they are organized between maps. I'm a beginner to cs. Only really started a few months ago and now im learning all of these smokes. 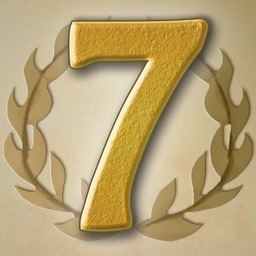 This app is worth every penny."